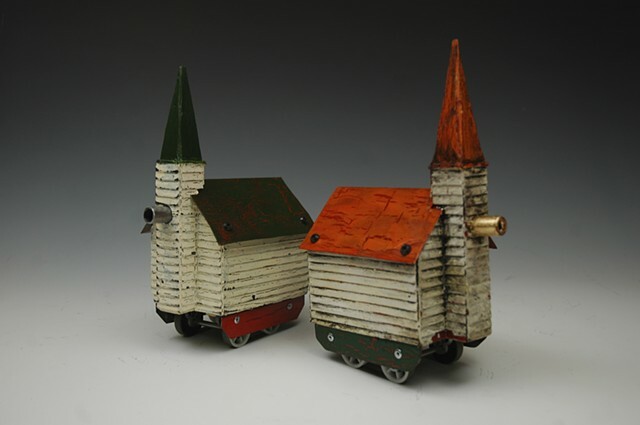 These are a pair of church/tanks I made that feature an electric motor that powers treads on the bottom of the pieces. The 'treads' are actually the device that is used to take your paper money in a vending machine like for soda or candy, a bank, or even a casino. I wanted the pieces to be fun and affordable but also as a comment on Big Money and Big Religion in America.